For 2019 Infiniti added AWD badging. 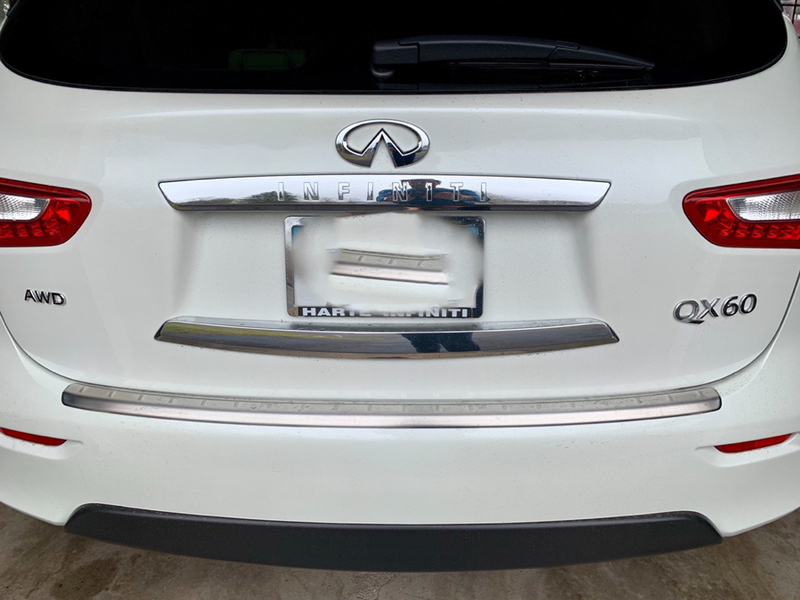 I made a template to match where the opposite QX60 badging is and reversed it. Not bad. MarengoMac and gmuney1 like this. I bought two AWD badges and have yet to put them on. Waiting for Spring I guess. I considered putting them under the 3.5 badge on the front fenders but I think the rear left makes the most sense. I picked up one on eBay and placed it under the QX60 badge. It got me through chain controls in Tahoe. Car cover for a QX60?